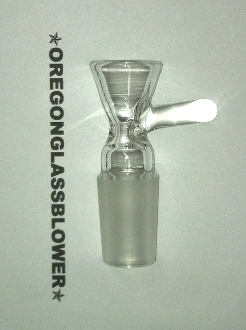 18.8mm (19mm) Glass Snapper. Flared. Single hole. I make these here in Oregon. Quality Fittings. Annealed for strength.